Last studio album with Fish, "Clutching At Straws" marks the end of MARILLION's first era. As its cover art suggests, the atmosphere is quite dark and introspective, contrasting with the general commercial approach of their well-known 1985 opus. With fewer poppy moments, the tracks are shorter, offer different ambiances, and sounds more modern than their previous material. Less fantasy-oriented, the serious and intimate impression displayed by the music somehow announces the next generation of prog musicians to come. Don't trust the soft introduction of "Hotel Hobbies", this song is in fact a rocking neo-prog gem! The dreamy melancholic "Warm Wet Circle" contains a great epic finale, whereas the poppy "That Time Of The Night" has floyd-ian guitars. With its pretty introduction and delicate notes, "Going Under" immerses the listener into an aquatic world. However, the first soapy passage appears with the joyful intruder "Just For The Record" and its dated synthesizer sonorities. In contrast, the beautiful and rageous "White Russian" is one of the greatest songs of the disc. The magic is still present. With its energy and keyboards soli typical of neo-prog, "Incommunicado" could have been placed on "Misplaced Childhood". This track is nonetheless enjoyable. After the water, the "Torch Song" is rather aerial, while "Slaìnte Mhath" possesses a folk feel. This different ambiances shows that MARILLION is still inspired by various musical styles. The last two tracks are not the best ones. "Sugar Mice" is the other soapy song of the record, whereas "The Last Straw", featuring vocalist Tessa Niles, is uneven. Nevertheless, despite a few weak passages, the overall result is quite original and refreshing, even for the neo- progressive genre. Despite internal dissensions at the time, the band's creativity remains intact. It's a pity these led to Fish's departure, because the band definitely emancipated from their initial GENESIS influences and refined more and more their musical identity. 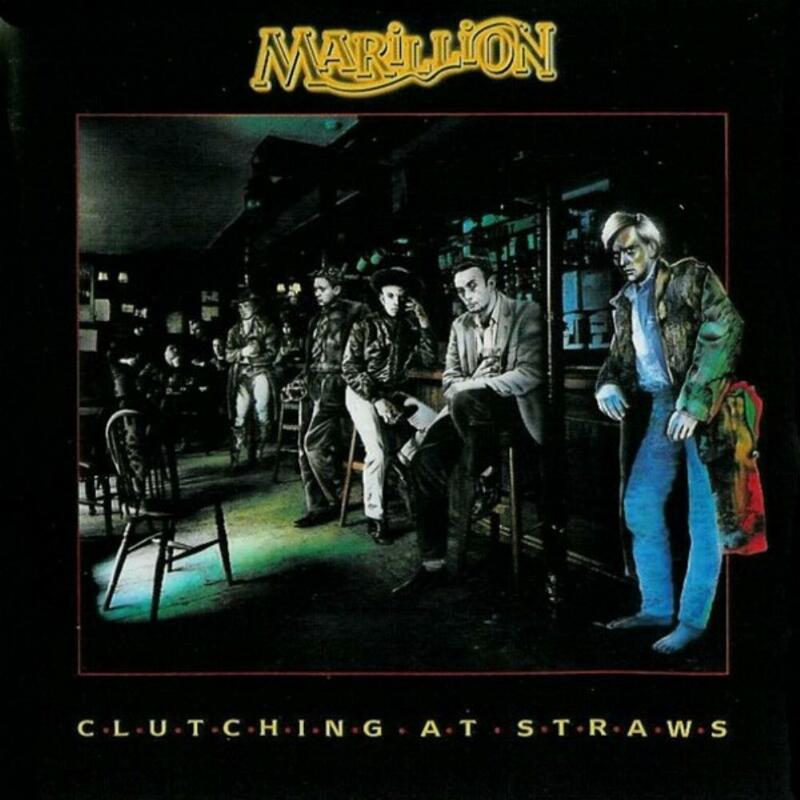 Apart from the other MARILLION's studio albums, "Clutching At Straws" is their most depressive and intimate opus from the Fish-era, and also the least dated, defining a new orientation for prog. There were not many releases of this quality at this period for progressive music lovers.